An article I just wrote for the Jewish Press (in the quarterly mental health insert) is available online here. It discusses how our expectations affect our parenting and how we can help ourselves out of the box that such expectations can create. Rabbi Noach Orlowek, shlit”a, defines anger as “the distance between expectation and reality.” I think this definition neatly explains much of the parental anger that we moms and dads struggle with as we try to raise superstar children. So much of our anger is the result of our having expectations of our children that are not met. This does not mean that we shouldn’t have expectations of them – only that we should be careful to temper those expectations with a clear picture of reality . . . This is from an article from Thriveworks on building rapport (connection with a client) in online counseling venues. On the whole I thought the article was so-so, but it did have some points like the above that made me think. This goes back to a post I wrote a while ago about using the phone vs. Skype, and how there are innumerable nonverbal messages that a client communicates that the therapist cannot afford to miss. I guess that’s true the other way around as well, as pointed out in this quote – in person, you would learn a lot more about me than you can via Skype (such as, for example, what shoes I’m wearing, or whether I’m even wearing shoes!). To this end, I encourage you to read what I wrote in the About Me section, and feel free to ask if you have any further questions about who I am or what I do. That's not to say that I will start telling you the story of my life, but if you have a question, don’t hesitate to ask! An interesting point I have recently been reminded of emphatically while working with couples: the points of dispute brought into the room are almost never where the juicy stuff lies. (With the couple I am thinking of right now, those points of dispute were particularly angry ones, too!) The truth is that it’s really all about the dynamic in the room. Whatever problems they’ve been having thus far are still ongoing, or they wouldn’t be in therapy. So I can watch those problems play out without having to refer to old incidents to make the point. What’s more, throwing past incidents at each other – known in the business as “kitchen sinking” – rarely does more good than harm. It just invites more hurt, defensiveness, and aggression. (This is something useful for all of us to keep in mind when we get into arguments with our spouse – or with anyone – launching repeated accusations over past events will only hinder the process rather than helping it. The concept of bashert has done many people a lot of harm in their quest for a long-term relationship. I thought this posting brought some solid sources from modern times that indicate that this concept is not to be relied on practically to find love. Trying to find The One Who Is Meant for You is a much more difficult endeavor than trying to find Someone with Whom You Can Build a Meaningful, Holy Life. More on this in a future post. This past Tuesday the standard greeting in the Northeast switched from, “Do you have power?” to, “Did you vote yet?” There was an expectation among most community members that people would be voting, whether or not our lights were back on . . .
See the full article at OU.org. A friend of mine in Houston, Texas contacted me in relation to the article I published on destigmatizing therapy. She is working with a frum family whose daughter is suffering some kind of attention disorder. In order to proceed with therapy, she had to contact the girl's high school, but the family was reluctant to allow her to do so, since they did not want the school to learn about their child’s disorder and treatment. It is not clear whether they were doing so out of embarrassment and shame over their daughter's condition, or out of fear of potential consequences from the school administration, which itself may have prejudices and biases regarding mental illness. This seems to echo the dilemma I brought up in the article, namely, on one hand a therapist is bound to protect client confidentiality; on the other hand, the therapist does not want to reinforce the idea that there is anything to be ashamed about. If you’re reading this, you probably have power back by now. Or maybe you’re reading this at work. Or maybe you’re one of the lucky ones who never lost power in the superstorm-formerly-known-as-hurricane-Sandy. 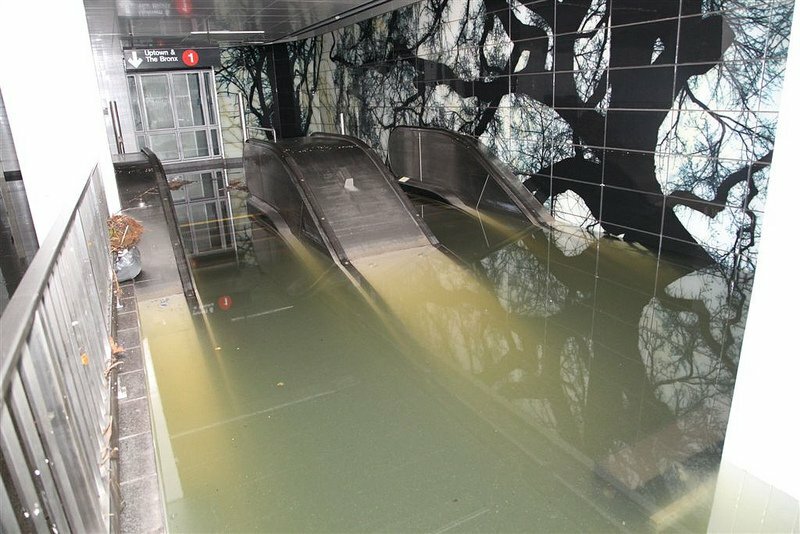 And if you’re reading this, you have probably also seen the never-thought-I’d-see-THAT-outside-of-a-Hollywood-blockbuster images that have been flooding the Internet: parts of New York City neck-deep in water; subway tunnels turned into log-flume tracks; 12-foot walls of water smashing into urban hubs. And how about the financial nexus of the world shut down for two straight days (which they tell us hasn’t happened since the ol’ blizzard of 1888)? The presidential campaign derailed days before the election? Pretty incredible. If you have not been scrambling for hot water and a place to charge your iPhone, you may have had time to reflect on all of this. To me, it is not just a reminder of how big G-d is, but of how small man is as well. Even the most powerful among us was not able to save NYC from shutdown. No amount of money was able to bring water to the burning houses in Queens. No amount of preparation could keep the airports open. Even folks who are not religious would have to look into the face of nature and admit powerlessness, if only for a time. We go about our business every day, hardly realizing how much we depend on matters completely outside our control. When the power went out, most people just had to deal. Here in Passaic, Main Street has been completely disabled, including the kosher grocery store; many ran low on basic food supplies, until other supermarkets nearby opened up and got running again. What if they hadn’t? What if this had been an actual hurricane, a category 2 or 3 or 4? We could actually be without food. For people who are well-off, the thought is hard to imagine. A personal famine in the age of plenty? But if the roads are blocked, if gasoline is inaccessible, if the power in the stores is out – it is a real possibility. It wouldn’t take much to make such a scenario a reality: a drought; a serious oil embargo; a contagious epidemic – any of these could cripple a city, state, or nation far worse than what has already happened to us this week. We tend to forget nowadays that we still live in a world that runs on environmental processes. We are so detached from the natural world these days that we hardly realize that we still need rain to grow our food! There isn’t yet a laboratory on the planet that can synthesize wheat, or soybeans, or water (and odds are you wouldn’t survive for long on jellybeans and Laffy Taffy). Our human frailty is brought to the fore in a disaster like this. Which is why it’s also such a great time for community building. We really need each other as people. We forget this too nowadays. We forget that in the long history of mankind, almost no society expected parents to raise children without an entire network of help. We forget that carving out time for friends and neighbors is not a luxury but a necessity to make it through life’s challenges (and that our ancestors, from the Biblical through the rabbinic times, all knew this well). On the Day After Sandy I watched my neighbors across the street take turns sawing at branches and working on contriving a way to get an extension cord safely from one powerless house across the street to a powered one. We all appreciate the togetherness that comes out of these times; do we remember how much we need it? The human condition is fragile and uncertain. It seems unlikely that we will ever be able to beat nature – to control the weather, to produce nourishment from inorganic materials, to create life from scratch in the lab. We will just have to live with the constant possibility of powerlessness. But to recognize that and to cast our lots in with those around us – to recall even in times of prosperity and apparent control that we can’t go it alone – that is a message which ennobles us above all the creatures and forces of which nature is made. For nature is blind, and one beast cannot help another unless it is so commanded by its genetic makeup; but we can offer each other a cup of hot coffee when the power is out, a shelter from the storm, or simply a hug in a time of tragedy. And that is what makes us truly human in the face of a hurricane.